BARRY H. COHEN, PHD, is Director of the master’s program in psychology at New York University, New York. R. BROOKE LEA, PHD, is an associate professor in the Department of Psychology at Macalester College in St. Paul, Minnesota. IRVING B. WEINER, PHD, University of South Florida in Tampa, served as a consulting editor on this volume. 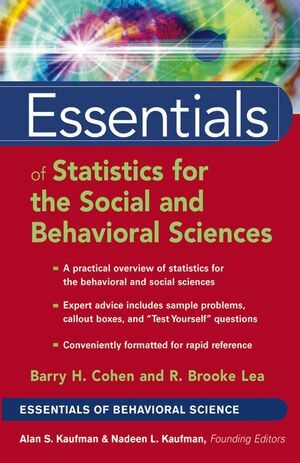 Barry Cohen is the author of Explaining Psychological Statistics (Wiley).